Kitzhaber’s under investigation by the Oregon State Attorney General’s Office, the state ethics commission and the FBI. Even the House Congressional Government Oversight Committee wants a piece of him. Unofficially, Oregon’s Governor was brought down by his ego, environmental hubris, one party rule and an open fly. Unfortunately for Kitzhaber, his kind of ‘help’ brought the scrutiny of law enforcement. And it could also put him –and her, due to her failure to report some of her ill-gotten fees to the IRS — in matching orange jumpsuits. Of course, most of this information was available before the November election. But this is Oregon. Despite Kitzhaber’s colossal biffing of the ‘OrBamaCare’ plan roll out, Cover Oregon, and a huge failed light rail program, both of which left Oregon’s taxpayers a half BILLION dollars in the hole, Oregon went bluer in the last GOP tidal wave election. 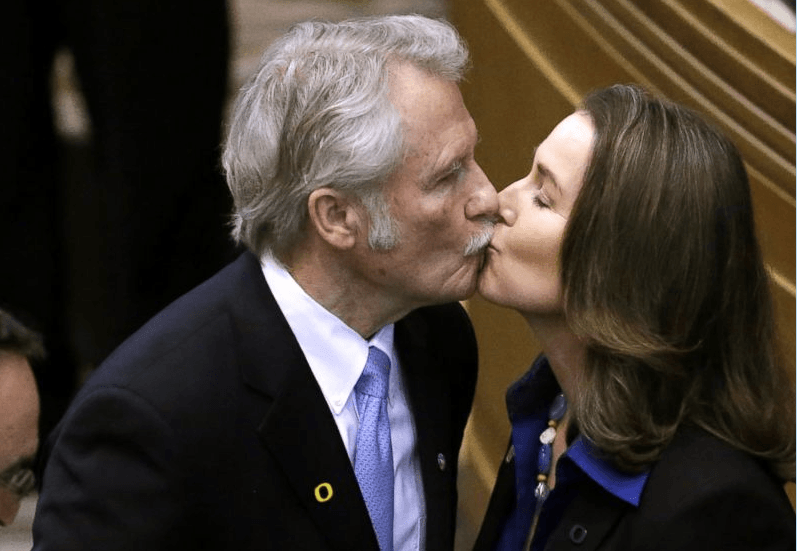 After it became known Kitzhaber asked his staff to destroy emails, which we now know, show his willingness to satiate his fiancé’s seemingly insatiable desire for more taxpayer money and power. Kate Brown, an even more radical environmentalist than Kitzhaber and his girlfriend, has now taken control of Oregon’s governor’s office. She has the added bonus of a being, as the LGBT community helpfully added mere moments after Kitzhaber announced his intent to resign, the first ‘bi-sexual Governor’ ever, ever.